Refine your skills, and also don’t just set your sights on an employer. You could be the solution generator the world is waiting for. It’s expected of a graduate that after the merry and tossing up of the graduation cap, a journey is embarked on to chisel out a lucrative career from the course undertaken. But then, there’re a few who have proven to swim against the current; the men and women who choose to dexterously weave a different destiny for themselves- a new road away from what they studied. They choose to start their own companies to solve problems faced by humanity, at a profit. What does entrepreneurship, a lonely furrow to plough given the uncertainty of heavy fog sitting on the road up ahead really take? An affable young man, Isaac Muigai, loops us in. He recently graduated with a degree in International Relations from the United States International University- Africa, but holds the title CEO at Humanum Ratings. 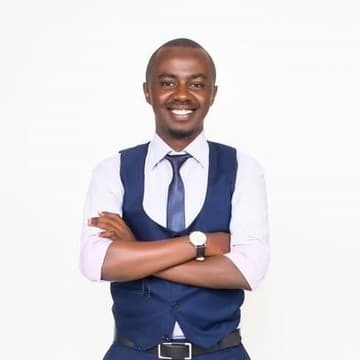 He opened the door to the burning chamber called entrepreneurship, in where flames may fiercely lick and consume you, or as in Isaac Muigai’s case, refine not only you but also the society. You are currently running Humanum Ratings despite not having a business degree. What did it take to pull this one? It took passion. It took a heart yearning to improve humanity. It took a mindset that University education opens up your mind not just to what you pursued, but to whatever possibilities you envision and set your mind to. With education, you have a key to whatever doors you walk to and infuse thinking with courage. What is Humanum Ratings and what services do you offer? Humanum Ratings is an agency that empowers Kenyan businesses with cutting edge ratings, advising and research. The key focus is on organizational development whereby a comprehensive regime of diagnosis and change initiatives is done in order to fortify the state of organizational culture/behavior. Through this, organizations are able to identify their salient strengths and soar higher, while also identifying areas to build on and improve. The conception of this idea, when did it happen and how many people do you work with in your organization? It all started when I was still in the university. I was highly motivated by the idea of CSR and impacting the society, which I presented to my friend and professor at USIU, Scott Bellows. He helped me refine and redefine it through the incubation centre nestled in USIU. Later on came genius mindsets on board: Sela Mumuli and Steve Muriithi who since then have been the building blocks to what the company is today. We pool together for any given task, share ideas and come up with well thought plans. What projects has the company undertaken so far? Humanum Ratings has worked with NGOs funded by USAID and UKAID, major distribution firms, main diary processors, media houses, county governments and leading hospital systems. What would you say to a student who believes there’s a happy employer waiting to embrace them immediately after school? Employment is not a matter of belief. It’s about what you are offering and practicality of the solution you are providing. Nobody will hire a belief but the brilliance of your skill-set. Otherwise you will live all your life believing. Refine your skills, and also don’t just set your sights on an employer. You could be the solution generator the world is waiting for. How hard or easy is it to start and run a business in Kenya? It’s very easy to start. The test is in running. How much can you take when things are not going your way? 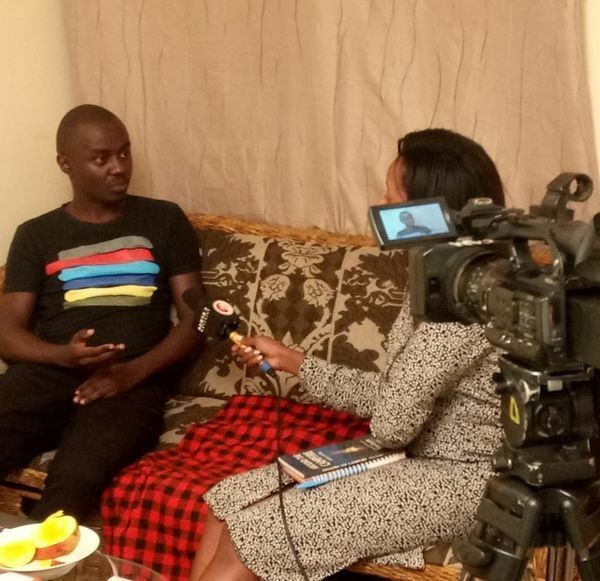 Isaac on set for an interview with KBC TV. Did you try seeking employment using your papers? I started transforming the company’s concepts to concrete while still at USIU, therefore, I have applied for very few jobs. Three at most. And one way or another, I ended up horning my focus towards the startup. If someone paid you Ksh. 5 million today to forget about Humanum Ratings, what would you say to them? A big NO. You aren’t wealthy until you have something money can’t buy. Why? – Courtesy of the place is to leave it better than you found it. With this startup, I’ll leave earth better than I found it. That’s legacy. What are your fears and motivations? I fear losing myself. I am motivated by the genuine Kenyan stories of people who are devoted to impact society such as Josphine Kulea, Francis Amonde, Mwalimu Tibachi, and Leroy Mwasaru. Apart from keeping the business rolling, I do meditative practice for my inner well-being, and learn more about my area of practice. Depending on the day of the week, I watch documentaries, movies, and busy my thumbs on PlayStation pads with friends. A book and a movie you’d recommend? ‘Doctor Strange’ and ‘The Matrix’ (I find the two more of documentaries than movies). The book ‘The Power of Now’ by Ecklhart Tole. If you could have a super-natural power, what would it be and why? Psychokinesis; that ability to move objects by mental effort alone. I love quantum mechanics and everything to do with human energy frequencies. If you love, love strong. If you hate, hate strong. Whatever you do in life; live strong. Otherwise you live an insipid life not knowing a thing about anything.